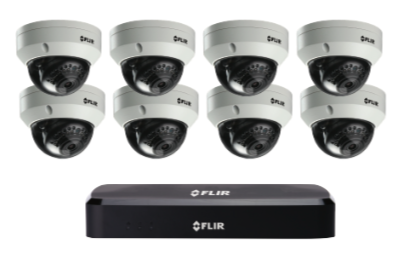 We have chosen to use Flir cameras for our CCTV video recorded cameras systems. 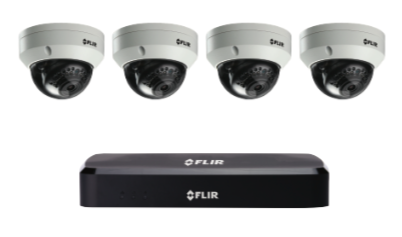 Flir was founded in 1978 and is a fortune 500 company with annual revenues in excess of $1.5 billion annually as of 2014. They specialize in thermal cameras used for Government and Defense, public safety, border patrol and industrial surveillance solutions. They are now using their experience and knowledge to provide high quality cameras for businesses and residential home security camera systems. You will absolutely love the quality images and recorded videos you will receive. 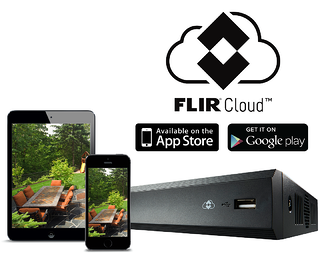 And, the Flir mobile app is outstanding, easy to setup and very user friendly. 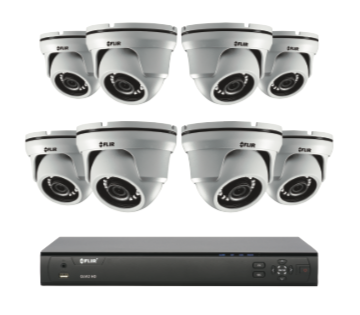 If you need more than an eight camera system or the above camera packages do not meet your specific needs we will custom design a security camera system that is perfect for you. With larger jobs, it is typically best to have someone come to the location to help design the system. 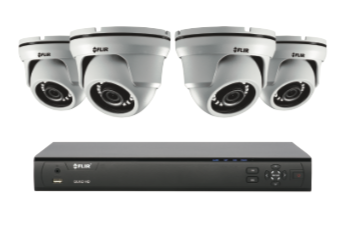 Our operations managers and senior techs will also look at the system requirements, location and help plan the camera system design and wire runs for your home or business. It is a free service to have someone come out for a security evaluation of your home. "...put me at ease about my options." "Shopping around for security cameras was complex for me. When I talked to Joseph Abeyta he put me at ease about my options. He explained everything, kept in touch, and his word. He asked ME what day I wanted my system installed. Jessie the installer came on time. He was very professional, did a excellent job, and listened to my concerns. Everything exceeded my expectations! Thank you California Security Pro." If you have any questions, want to learn more or would like to order and schedule your installation.